Improper dental hygiene associated with vitamin C deficiency and vitiated Pitta disorder is the main cause of this disease. There is pus formation in gums leading to bad odor. Apply mixture of honey and curcuma to the gums forrelief. Toothpaste ontaining pungent, bitter herbs like clove, golden seal, bayberry, and bark of pomegranate are bet to treat this condition. 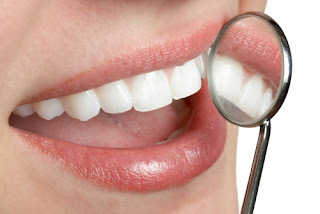 Patient should be asked to carry out gargles with the decoction of these herbs and should use viccovajradanti tooth powder or tootpaste for cleaning the teeth. For the treatment of inflamd gums, tab. Triphala guggulu 250 mgm, with tab. Guduchi 500 mgm.should be given 3 times aday for 15 days. Vitamn C in natural forms like juices of lemon, oranges, with chyavanaprasha jam 1 teaspon, twice a day for 1 month is also useful. In this disorder the gums become thick. Use plenty of green leafy vegetables and sour fruits like lemon and oranges in the diet. Apply powder of triphala with honey to the gums or mixture of til oil with triphala, alum and catechu is also beneficial. Tab. Triphala guggulu 250 mgm, 3 times a day, should be given with warm water for 1 month. Regular massage of the gums with jatyadi oil is useful. Halitosis means bad breath. It is complaint due to improper dental hygiene. Causes include pocket formation in gums, cavities in teeth in which food debris gets lodged, inflammation in nasal sinuses. Other causes can be bad digestion and vary rarely inflammatory conditions of lungs may produce this condition. Vitiated pitta gives rise to halitosis. Treat the underlying cause first. Remove the plaque from the teeth and clean the teeth. Use heral toothpaste that has slightly bitter, atringent tste. Internally for pitta palliatonhes lik santalum album, cardamom, acasia catechu and clove should be used.